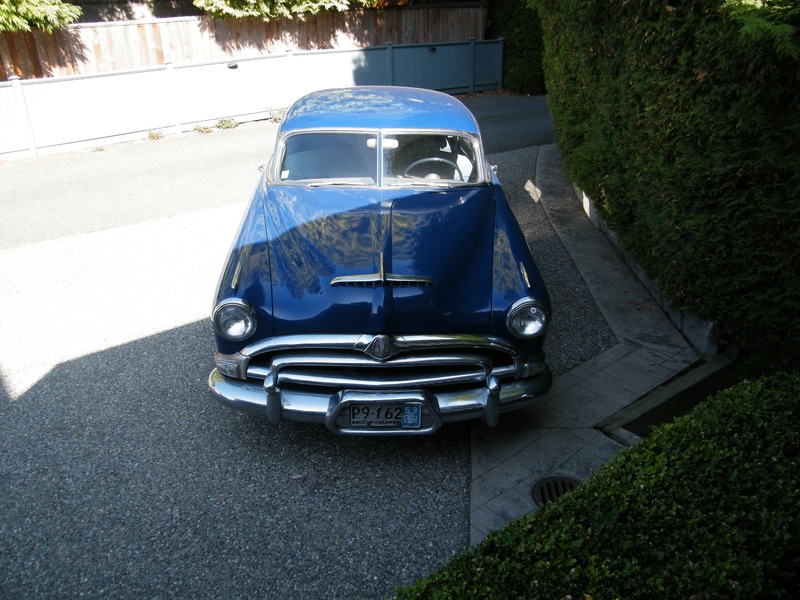 Welcome Gord, I'm working on a '53 and have all the mechanical procedures, parts, and crash parts manuals. Send me your address and I can copy the Index of Service Operations and send to you, there is a supplement for '53-'54 but nothing added for axle repairs. There are lots of guys here that have helped me out over the last three years, never had a question unanswered, trying to sort all the parts I ended up with, I have a lot of parts left and have sent parts all over the globe to a lot of nice people so you will find this is a great club. Post some pics, looks like a nice ride. If you want, you can send me a private message with your address. Dan. Welcome! I'm sure you'll find a lot of good advice here. 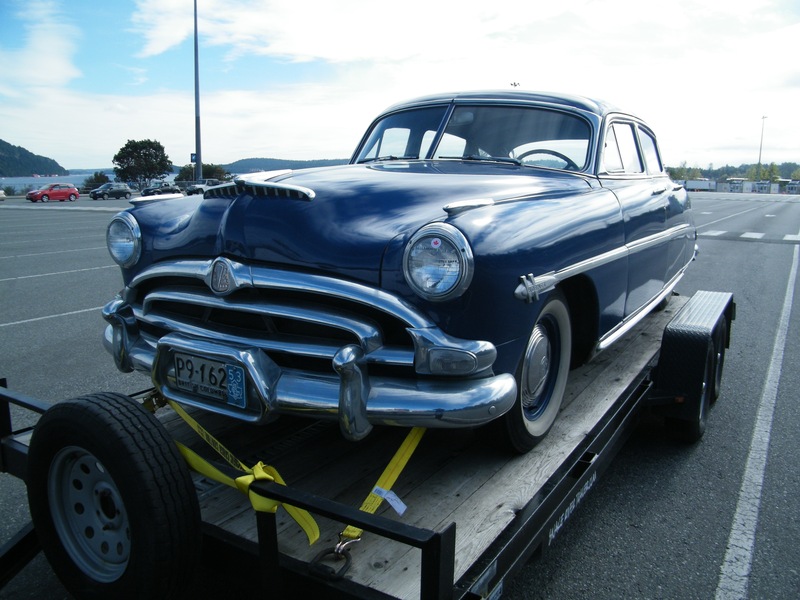 I don't know what part of Canada you're from, but the Hudson-Essex-Terraplane Club has two chapters in Canada, and there are a good number of Canadian members as well. 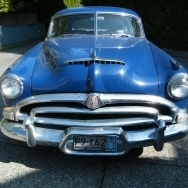 So you may be able to locate a real, live, human being-type Hudson owner in your area who could give you help. Let me first ask you -- is your purpose simply to lubricate the rear wheel bearings and install new oil seals? Or are you having problems with your axles? Gord, there probably are some Hudson club members not far from you. Spend a few bucks and join the HET club then get a club roster. It will show most of the club members and their contact info. Members can also locate other members on the official club website, I prefer the roster. Show us some pictures of you 53! Thanks Guys, greatly appreciate the welcome. I have never joined a forum before so I am hoping my posts are correct. I am taking your advise and joining the HET club. I have been relying on you-tube for tech stuff however I noticed there isn't much on 53 Hudson's. Hi Jon, thanks for the welcome... I am on the West Coast, just east of Vancouver. 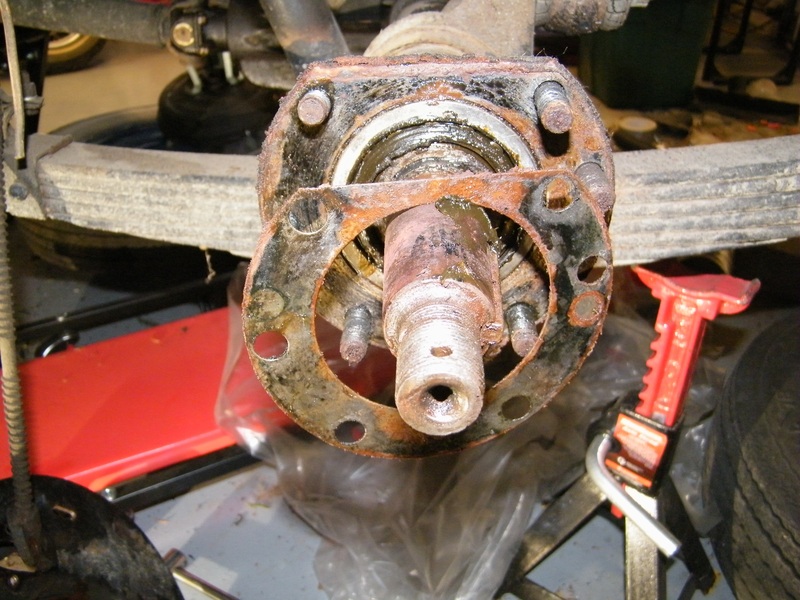 The purpose is to install new bearings and oil seals... the pic above is where I am at, my manual says just us a puller to pull the axles out, my question is are the axles attached in the differential with a clip or connector? Manual page 11-20 rear axle 52 models item 10 it says... remove axle shaft using axle shaft puller J-352... nothing about and clips in the drive pinion (apologize if I am using the wrong terms), or is it just that simple..
You just need a slide hammer with a coupling that fits your axle thread, in order to pull that axle shaft. Gord your car is beautiful, looks real straight. To send a pm, just click on my heading and it will take you to a screen about me click on Message on that screen.